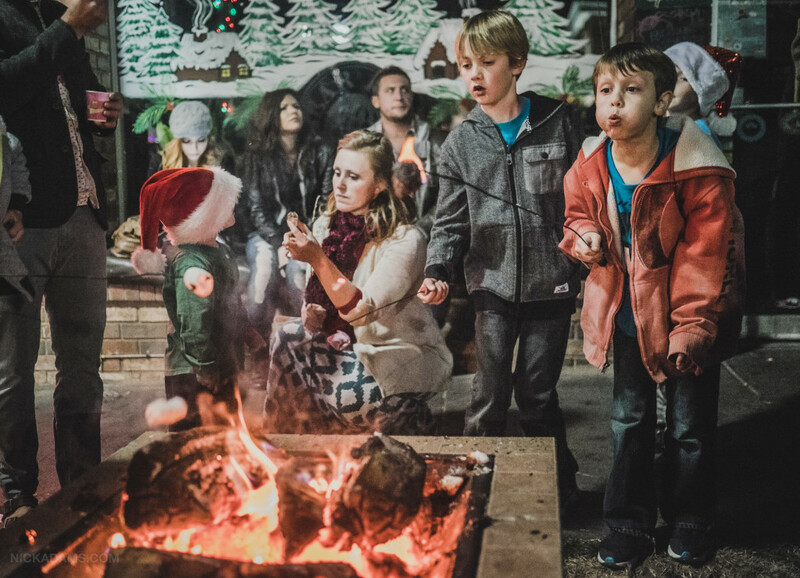 ST. GEORGE — Area residents warmed themselves by fire pits and strolled down Main Street in St. George Friday night, enjoying the usual offerings of “George, Streetfest on Main”: music, vendors, food trucks and good vibes. 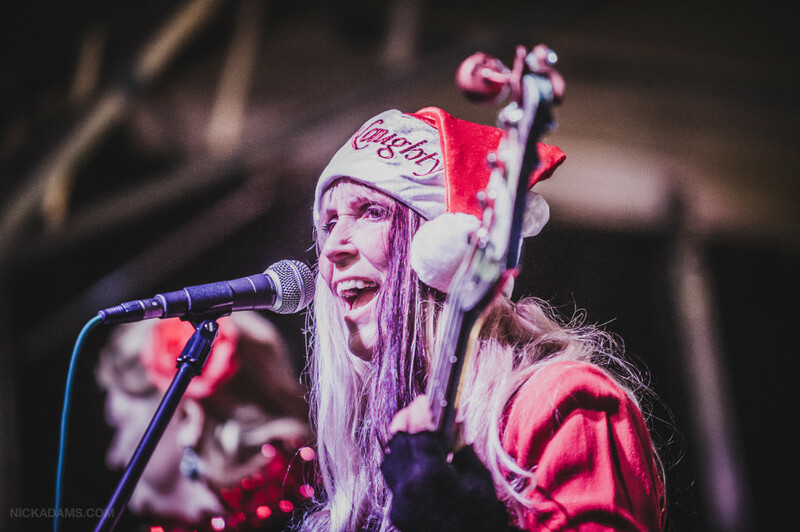 Various prizes were given away at 8 p.m. by the Town Crier on the Main stage before the winner of the annual “Gingerbread Tour” was revealed. 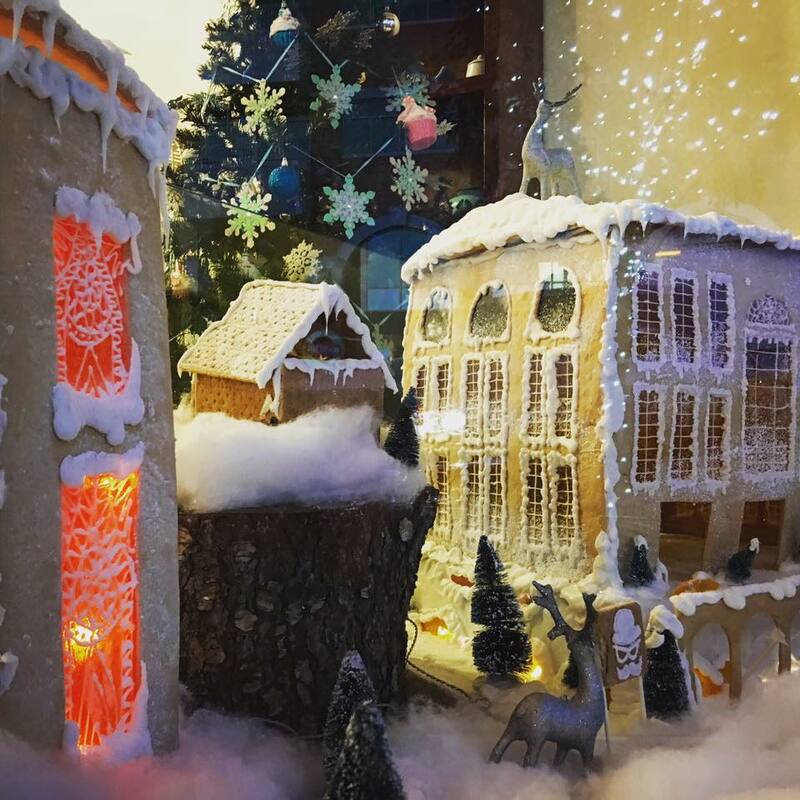 Ten downtown businesses took part in the season’s “Gingerbread Tour,” with merchants making, baking, crafting and displaying their creations of edible masterpieces from castles to courthouses. 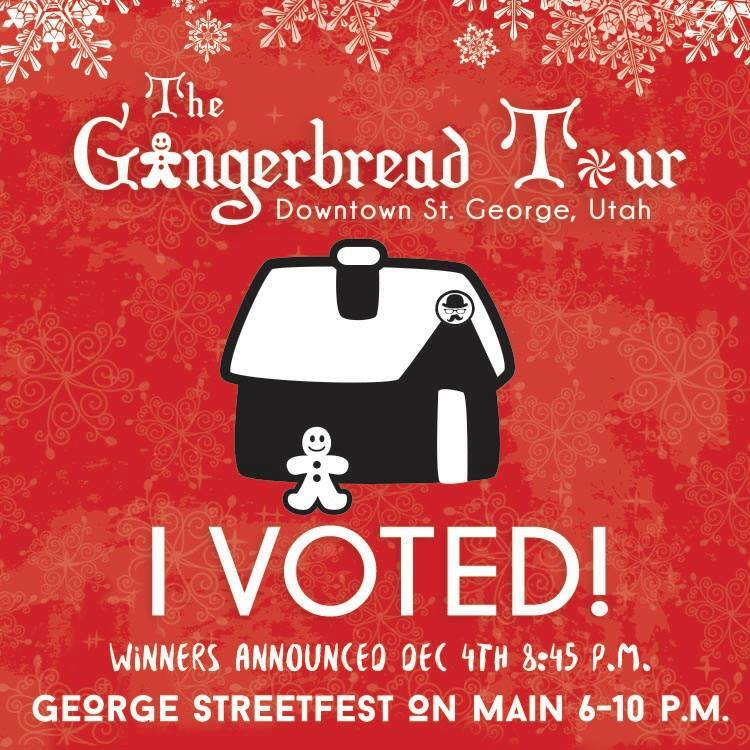 The imaginative gingerbread houses had been on display since Tuesday and continued vying for votes at Streetfest until ballots were counted. 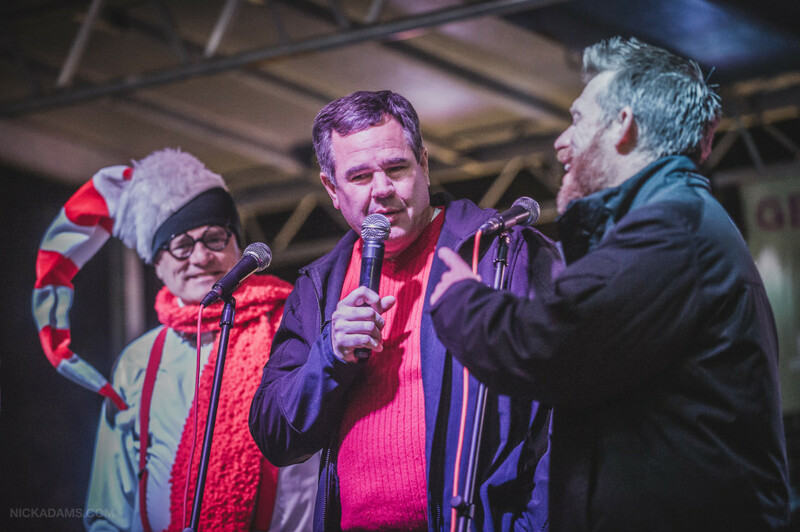 Mayor Jon Pike announced the 2015 “Gingerbread Tour” winner, Twenty-Five Main, and awarded the restaurant possession of the coveted rotating trophy that 2014 winner, Judd’s Store, has held for the past year. The Jazz Garden offered a more relaxed alternative where Streetfest-goers could enjoy some vocal jazz tunes from Crooner Jim Griffiths. DJ Lex was spinning lively Christmas tunes on the Main Stage, followed by Bloomington Elementary Choir and Desert Hills High School Jazz Band. Headliner Soul What!? closed out the evening with an energetic set. “George, Streetfest on Main” will next rock and warm Historic Downtown on the first Friday in January, with a Masquerade-themed New Year’s Day night. So start working on those costumes and plan to start the New Year off with the city’s monthly community fest Jan. 1.